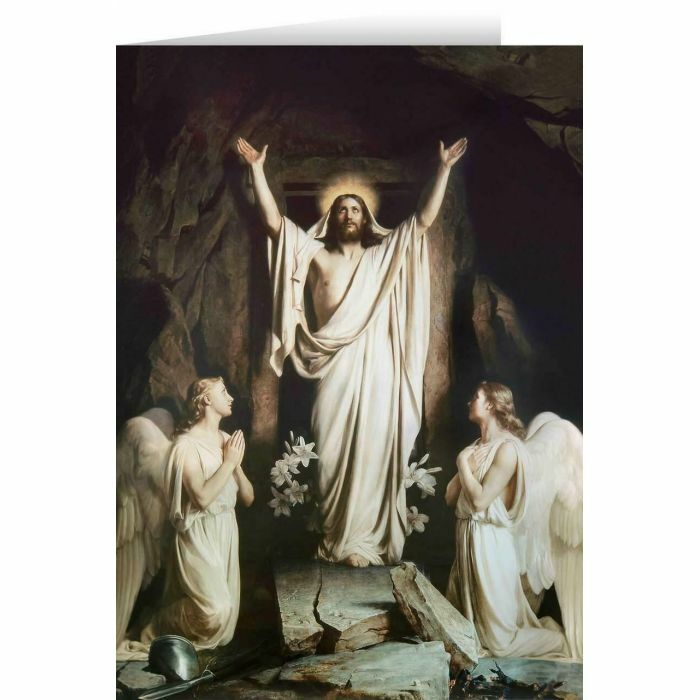 Send an Easter Season greeting to a loved one with our Resurrection by Bloch Easter Season greeting card. On the front, a glorious image of angels adoring the resurrected Christ is displayed, from whom light pours forth. Inside is a Bible passage with an Easter greeting. Hand-crafted at our shop in Steubenville, OH, this 5"x7" card comes with envelopes and is available in a bundle of 6. 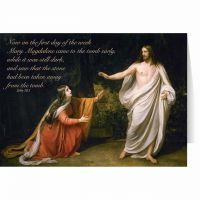 Send an Easter Season greeting to a loved one with our Mary Magdalene Encounters Jesus Easter Season.. 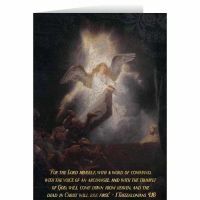 Send an Easter Season greeting to a loved one with our Christ Rising from the Grave Easter Season gr.. 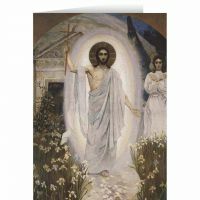 Send an Easter Season greeting to a loved one with our Resurrection Easter Season greeting card. On ..
Kingdom High began 25 years ago as a family owned business in Palatine, Illinois. In 2002 we opened our online store. As our online presence grew we decided to branch out and offer a broad spectrum of merchandise. Today Kingdom High offers over 3,000 Christian and Fatih related items, from anointing oil to witnessing cards. We are a small, yet growing company thanks to people like you. Due to the demands of shipping orders and creating customized items, such as our fiberglass statuary and jewelry, we can only be reached via email. We will respond within 24 hours, though it is generally much faster. Thank you for understanding!